I read this article and found it very interesting, thought it might be something for you. 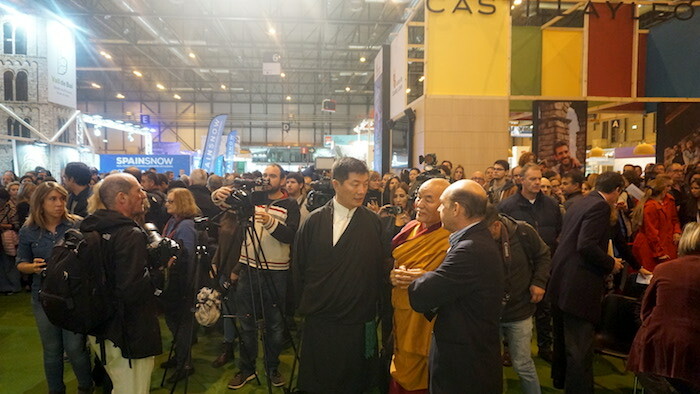 The article is called CTA President attends, China withdraws at IFEMA (International Trade Fair of Madrid) and is located at https://tibet.net/2018/11/madrid-stands-tall-for-tibet-as-china-pressures-to-bar-cta-president/. 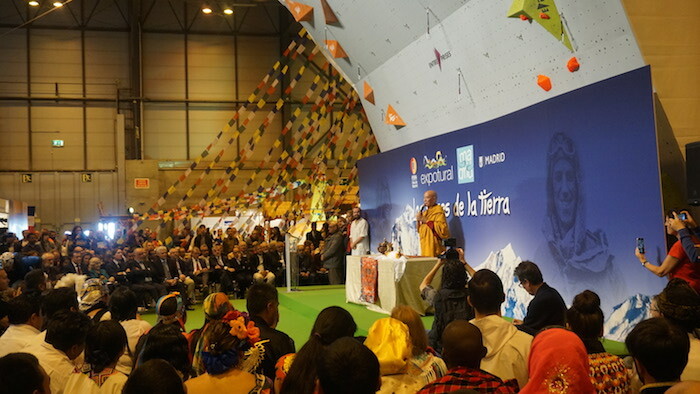 Madrid: President Dr. Lobsang Sangay, Central Tibetan Administration attended the opening ceremony of Expotural 2018, the Mountain and Sustainable Trade Fair at the IFEMA (International Trade Fair of Madrid) yesterday. He was invited to speak on Tibet’s environment at the Expotural 2018. 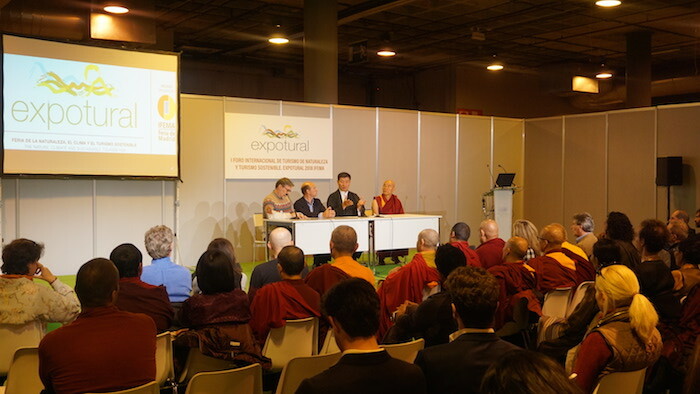 Venerable Thupten Wangchen, Member of the Tibetan Parliament in Exile led the prayer session of the trade fair. 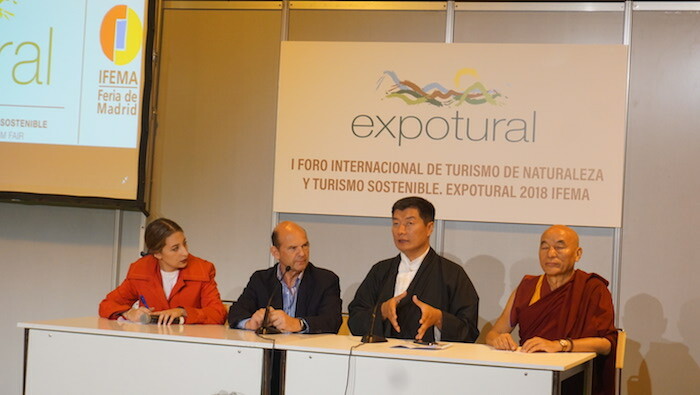 Chinese exhibitors attending the trade fair immediately pressured the Expotural and the IFEMA to withdraw the invitation extended to President Sangay and MP Ven Thupten Wangchen. When the organizers refused, the Chinese exhibitors withdrew from the IFEMA 2018. With 30 years of experience in staging trade fairs, IFEMA’s activity as a show organiser has made it the number one operator in Spain and one of the leaders in Europe. The financial effects of IFEMA’s activity on the city and region of Madrid as a driver of business tourism account for 2 billion euros a year, roughly 1% of the region’s GDP, and some 40,000 direct and indirect jobs. 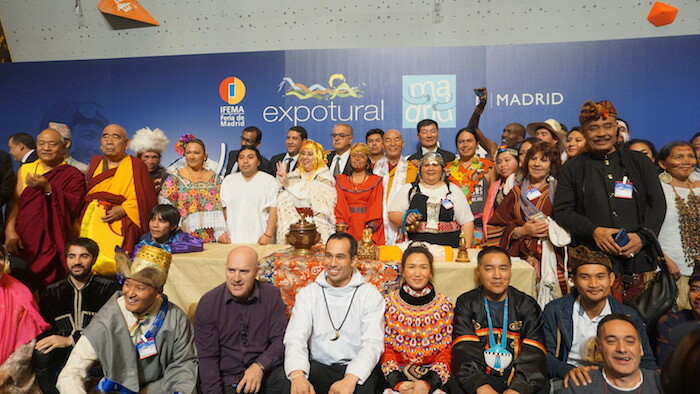 The Expotural is a tourism trade fair that exalts the mountains and natural spaces of the planet and prides itself as the last legacy of Edmund Hillary. Its prime mission is raising awareness about the conservation of our planet. On Tibet’s environment, President Sangay started off with describing the unique relationship Tibetans shares with the physical environment. He said, “For centuries, Tibetan nomads on the Tibetan Plateau cherished a lifestyle where they could freely move across the grasslands with their tents and livestock, and practice environmental stewardship. Our ancestors’ intimate relationship with the environment was so deep that when growing up in-exile in India, our elders would advise us, children, not to pluck flowers. They would say that plucking a flower is no different from causing harm to another person. President Sangay then briefed the audience on the serious threats the plateau of Tibet is currently facing. He first commented on the threats faced by the nomadic community in Tibet especially the forced resettlement of nomads caused by China’s increasing developmental projects in Tibet. “According to the 2007 UNDP report, Tibet’s grasslands are turning into deserts at a rate of 2,330 sq km per year. Despite the widespread resentment it has caused, China is vested in gaining access to the nomadic lands for the extraction of resources. This brings us to the question of why China invaded Tibet. It is not a coincidence that in Chinese, Tibet is called Xizang, which literally means “Western Treasure.” One of the precise reason for China invading Tibet. “It is estimated that the Tibetan Plateau holds about 30 to 40 million tons of copper reserves, 40 million tons of zinc, and several billion tons of iron. The Yulong copper mine has a proven more than 7.8 million tons—making it the second largest copper mine in Asia. Tibet also holds more than 90% of China’s lithium reserves. Local Tibetan communities enjoy no benefits from the extractions, while Chinese companies continue to strike it rich in Tibet. President Sangay stressed the importance of Tibet’s ecology globally by citing scientists at San Francisco University who said that the study of climate change is not possible without studying Tibet. Similarly, according to Canadian environmentalists, whether the weather in Canada will be warm or cold depends on the climate in Tibet. The Monsoon season in Asia is generated and regulated by the Tibetan Plateau. “Furthermore, scientists have designated Tibet as the Water Tower of Asia. Around 1.4 billion people in Asia—that’s one-third of the world population—depend on water from Tibet,” the President declared. The speech was well received with thunderous applause and was followed by a question and answer session.